Leonardo da Vinci worked for 25 years on a complete guide to the human form that would have transformed the study of anatomy in Europe. But the project was never finished and the notes were all but lost for centuries after his death. 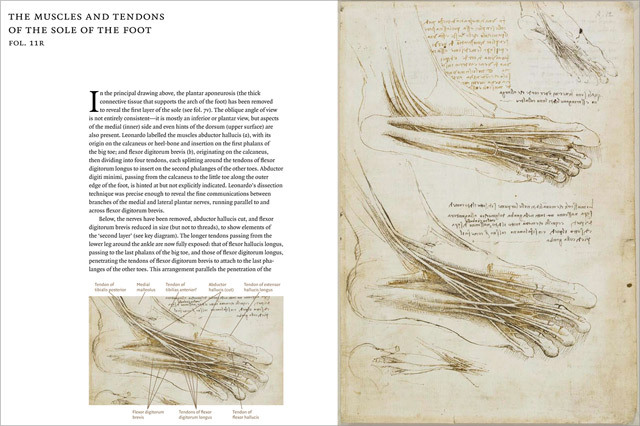 The new book Leonardo da Vinci: The Mechanics of Man, co-published by Getty Publications, brings together the finest of Leonardo’s work toward this treatise—18 sheets teeming with over 240 anatomical diagrams and notes running to 13,000 words. Together these sheets make up what’s called “Anatomical Manuscript A,” one of the Leonardo treasures in the Royal Collection. English translations of Leonardo’s mirror-writing, placed on the drawings where he wrote them, provide insight into his thought process. That is: joy, with different ways of laughing, and draw the cause of the laughter; weeping in different ways, with their cause; fighting, with the different movements of killing; flight, fear, ferocity, boldness, murder, and everything belonging to such events. Leonardo created the outline for his book as early as 1489, but his progress was hampered by lack of access to anatomical material—in other words, corpses. 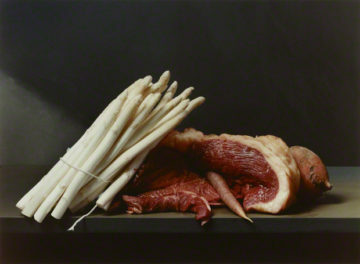 Existing books and the dissection of monkeys, cows, dogs, and the occasional human skull could only teach so much. By about 1507, however, he was gaining fame as an anatomist; bodies, primarily of executed criminals, began to flow, likely due to his partnership with anatomist Marcantonio della Torre of the University of Pavia medical school. Begin your book on anatomy with a perfect man, and then draw him old and less muscular, then stripping him in stages down to the bone—and then draw the infant, with a diagram of the womb. Describe what sound is, and what din is, tumult, noise, etc. Depict here the foot of a bear, a monkey, and other animals, inasmuch as they differ from the foot of a man, and also put in the foot of some bird. And you, man, who witnesses in this labor of mine the marvelous works of nature, if you would judge it to be a wicked thing to destroy it, well think what a very wicked thing it is to take the life of a man. Leonardo’s labor was cut short by catastrophe. 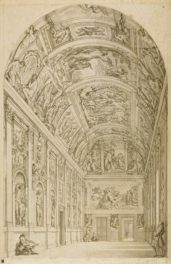 In 1511 his collaborator della Torre died of the plague, and political turmoil drove him to Rome and later to France, where his anatomical studies largely petered out. Upon his death in 1519, the hundreds of fluid-stained notes and drawings passed from collector to collector, forgotten, rediscovered, forgotten again, and not published in a coherent form until 1898. I pray to you, O successors, that avarice does not constrain you to make the prints in woodcut. Several of Leonardo’s anatomical drawings from the Royal Collection are on view in Leonardo da Vinci and the Art of Sculpture: Inspiration and Invention, including one that compares the layers of skin, membrane, and bone covering the human brain to the structure of an onion. Of course Leonardo knew about onions, too; botany was a topic of yet another of his unfinished treatises. Very interesting and if he lived today he could obtain a wealth of information in seconds online about anything he so desired. Sadly though most of us living in this day and age are only interested in YouTube. Again this was very interesting, thanks. Are any Leanardo Da Vinci’s work on display, what about Bottecili, brunelleschi? Thanks so much. Hi Ruby — Thanks for asking. The Getty Museum has two drawings by Leonardo (three, if you count the verso of Studies for the Christ Child with a Lamb). These two drawings aren’t on view right now, though they do rotate on view in our exhibitions — drawings are sensitive to light, which is why they aren’t on permanent display. Last year we had an exhibition on Leonardo. We don’t have any works by Sandro Botticelli or Filippo Brunelleschi, but coming next year will be a great exhibition about the Florentine Renaissance, so stay tuned for that.